Ave.49A y 36A. Reparto Kohly. Playa Ciudad de la Habana. Hotel Description: Located next to the Havana’s "Bosque de la Habana" , in a spot blessed with privacy and natural beauty but still just minutes away from any point in de city, the Hotel Kohly is a hotel where everyone can feel cushy,amused and safe. When you come to Havana, knock on Kohlys door.Youll always be welcome. Hotel Kohly - Hotel Modalities Budget, City, Family Kohly - Hotel Details Address: Ave. 49-A y 36, Reparto Kohly. 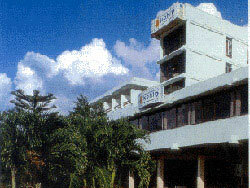 Ciudad de La Habana Number of Rooms: 136 Distance to Airport: 25 KM Breakfast included in price. Property Amenities: Bar, TV Room, Tennis, Garden, Parking, Medical Services, Tour Booking Desk, Swimming Pool, Lifts, Conference Room, Restaurant, Business desk Hotel Kohly - Room Standard Room 136 standard double room, fully air-conditioned with a view of the forest, city or sea.124 with balcony. 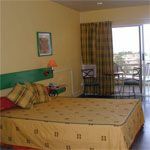 Air Conditioning, Phone, Satellite TV, Safety Deposit Box, Room Service, Minibar, Private Bathroom, Balcony or terrace, Twin beds, Power 110V/60Hz, Cold & hot water, Alarm clock, radio Check In Time: 2:30 PM Check Out Time: 12:00 PM. Email Nestor to find a hotel havana cuba that suits you best. No reviews for Hotel Kohly yet.